Fiber supplements augment your stool bulk, which helps keep your bowels moving regularly. Dietary or supplemental fiber also traps a portion of the cholesterol in your intestines, which may reduce your total blood cholesterol level. Although fruit, vegetables and whole grains are ideal sources of fiber, you may use supplements to increase your fiber intake. When taken as directed, fiber supplements are typically safe. An overdose, however, may cause digestive system problems and symptoms. Fiber supplements are similar to sponges in that they absorb large amounts of water. 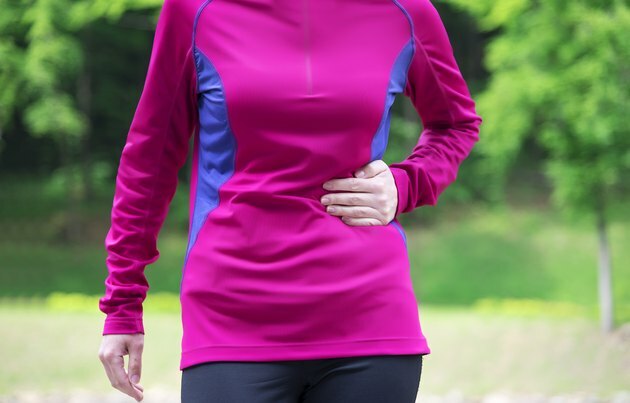 The increase in stool volume associated with taking too much supplemental fiber may cause abdominal bloating and discomfort. Some types of fiber supplements also increase intestinal gas, which may worsen abdominal bloating. In the extreme, your abdomen may be visibly enlarged. Taking too many fiber supplements may cause abdominal pain and cramps. The markedly increased water and bulk of your stool provokes these symptoms. If you experience severe pain, seek emergency medical assistance. In rare cases, a fiber supplement overdose may block your intestines, which may be life threatening. An overdose of fiber supplements can provoke nausea and vomiting. These symptoms may indicate a fiber blockage in your intestines. Alternatively, a ball of the supplement, called a bezoar, may form in your stomach and provoke nausea and vomiting. A fiber bezoar is most likely to form if you do not drink enough water when taking fiber supplements. Slow gastric emptying increases the risk of forming a fiber bezoar. Seek emergency medical care if you have taken too many fiber supplements and experience persistent nausea and vomiting. A fiber supplement overdose pulls a large volume of water from your circulation into your intestines, which may lead to dehydration and a reduction in blood pressure. Possible symptoms of dehydration include dry mouth and dizziness, especially when standing from a sitting position. Taking too much powdered fiber without sufficient water may block your esophagus, the tube that connects your throat to your stomach. Sudden, intense chest pain and difficulty swallowing are typical symptoms of an esophageal obstruction. Emergency medical treatment is essential if you experience these symptoms. You can prevent a fiber supplement overdose by taking the preparation as directed. If your doctor has advised you to take fiber supplements, begin with a low dose and gradually increase it over a period of days to weeks until you reach the full recommended dose. This gives your intestines time to adjust to the increased fiber. If you have questions about how to take fiber supplements safely, talk with your doctor.